This release (3.3) optimizes the appointment loading times, adds new functionality for restricting calendar days and fixes a lot of bugs. You can now also edit appointment summary details in email via WooCommerce templates, add more appointment data and configure the output. Available date/time slots are now presented lightning fast and you can also cache the output with external caching plugins to make it even faster, like WP Rocket. In previous releases, there were a lot of bottlenecks around available slot loading, which are now gone and you can enjoy the speedier booking experience. We’re really excited to offer you such a simple feature to restrict selected days on the calendar. There are a lot of businesses that offer appointments/events that span over multiple days. There are also situations, when businesses only want to offer appointments/events that start on certain days and are restricted on other. With this update, you can now easily restrict days, when you don’t want customers to be able to schedule appointment/event. You will stay operational, but won’t accept bookings that start on these restricted days. 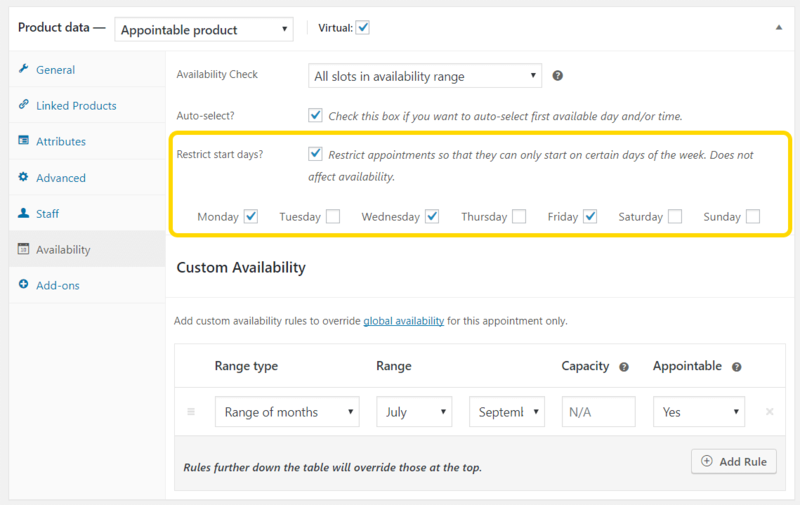 Feature – New functionality to restrict the day a appointment can start on. Improvement – Optimized loading times, much faster on all levels. Improvement – Added filters to allow switching to date created for My Account > Appointments. Improvement – Added wc_appointments_summary_list_date filter for wc_appointments_get_summary_list. Improvement – Moved Appointment Display to templates for orders on both front-end and admin. Improvement – Moved Appointment Summary list to templates for orders on both front-end and admin. Improvement – Send confirmation email for manually created appointments without an order. Improvement – Querystring for “time” now uses more readable format. Instead of “12:00”, now “1200”. Improvement – Removed “Order again” button for appointment orders. Fix – Admin calendar day view incorrect when times below 10am. Fix – Appointments calendar on the backend doesn’t respect time format in WordPress settings. Fix – Appointments with orders created in admin had totals without taxes included. Fix – Fatal if create_wc_appointment used to create appointment based on parent. 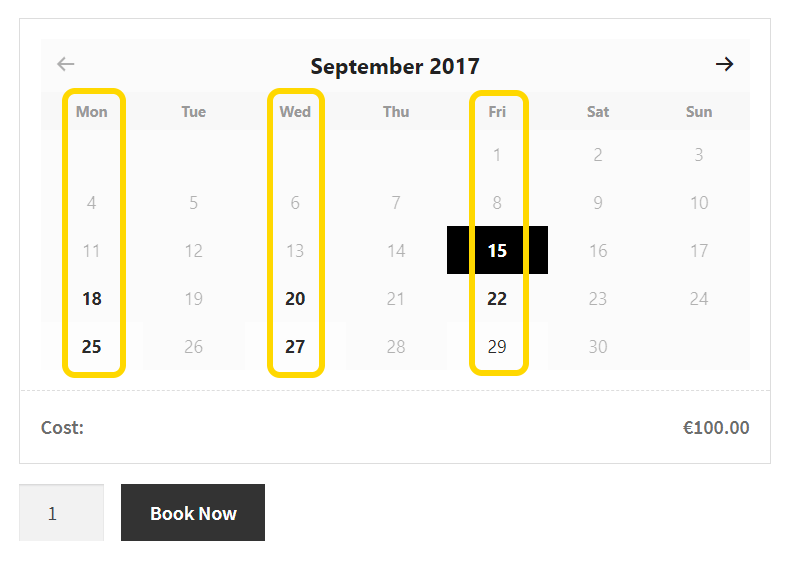 Fix – Hour based slots overlapping midnight marks next day as partially booked even though it doesn’t affect any of the slots. Fix – Refunded orders will update the Appointments status to Refunded. Fix – Today’s availability rules were being ignored. Fix – Updated price HTML display to correctly show additional costs. Fix – Book button disabled on each price/slot calculation, prevents double booking.